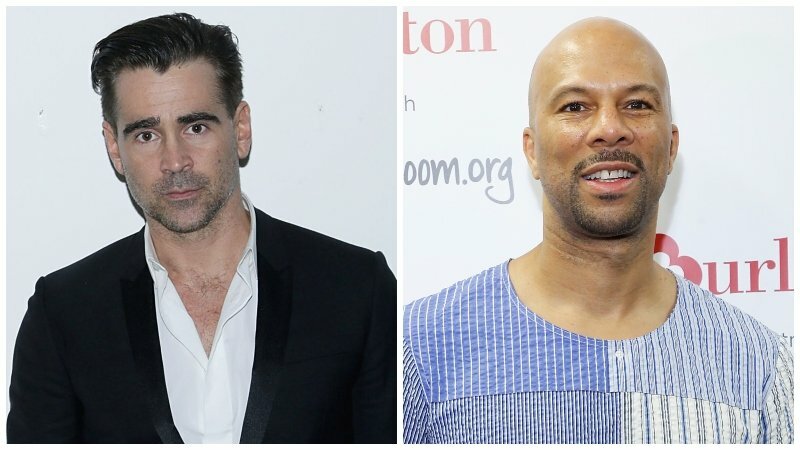 According to Deadline, Golden Globe winner Colin Farrell (In Bruges, The Lobster) and Academy Award winner Common have officially signed on to join Voltage Pictures and Freckle Films’ forthcoming action drama film Eve which is being produced by Academy Award nominee Jessica Chastain (IT: Chapter 2). Farrell is set to play the role of Simon, a black ops organization leader whom Chastain’s title character works for while Common will be portraying the character of Eve’s ex-fiancee Michael. Farrell is best known for his roles in films such as Horrible Bosses, Fright Night, Total Recall and The Winter’s Tale. He has also starred in the film The Lobster that earned him his second Golden Globe nomination. He will next be seen in the movies: Widows starring alongside Viola Davis, Liam Neeson and Daniel Kaluuya which will premiere this November; and Disney’s upcoming film Dumbo which will be released next year. Common is best known for his roles in various films like: Suicide Squad, John Wick: Chapter 2 and Selma. He will next be seen in the movies: The Hate U Give starring Amandla Stenberg and Regina Hall; Common will reprise his role in John Wick 3: Parabellum which will be release next year; and the crime drama film The Kitchen co-starring alongside Tiffany Haddish and The Handmaid’s Tale star Elisabeth Moss. The post Colin Farrell & Common Join Jessica Chastain Action Film Eve appeared first on ComingSoon.net.